After the funeral or memorial service, we provide the family with extensive assistance with financial and estate issues. These services include but are not limited to help with filing insurance claims, changing beneficiaries on existing life insurance policies, filing for Social Security, Veteran's and civil service benefits, and planning for future needs. Our agents provide first class service, which gives them the opportunity to discuss advanced funeral planning...all without a sales-type approach. FSA's Aftercare program focuses less on grief counseling and more on providing the kind of help that allows family members to move on with their everyday life. 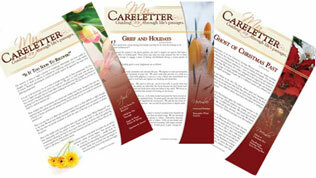 Our aftercare visits do include providing families a grief care letter, either electronically or hard copy. Being able to use our Email Drip Campaign software to send the monthly Careletters to your families saves hundreds of dollars each year in postage.